St. Petersbrug is a large and widely planned city. The Palace square, situated at the beginning of the Nevsky Prospect is known as the city centre. 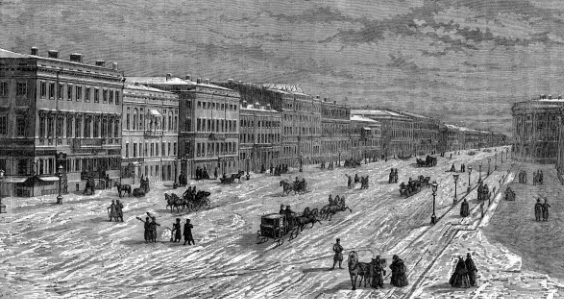 The distance from here to the apartment is even less as the distance from the end of the Nevsky Prospect to this square. 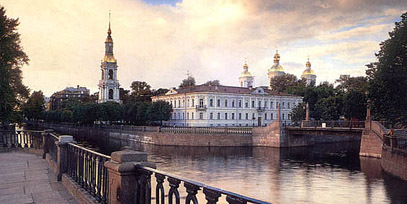 beautifull cathedrals of Sint Petersburg, situated in the green between the Krukov canal and the Gribojedovja canel. Not far from here you will find the famous Marriinsky theatre. 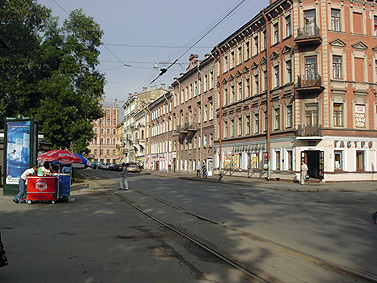 From the Turgenev square trams go along the Sadovaja street directly to the Nevski Prospect. From the Anglisky prospect there is a quick bus connection to the beginning of the Nevski Prospect. The nearest metrostations are Technologitsjeski Institut and Baltisky Vokzal. This last station is a also a railway station with local trains as to Peterhof, Lomonosov and Gatchina. You will find several nice cafes and restaurants in the neighbourhood with affordable prices. You can easily do your shopping in the small shops around the house. The location is perfect to relax after a day full of new impressions. A walk in the twilight along the Fontanka embankment or the Gribojedovja canal is an unforgetable experience.